Home/Events/Register for our Festival of Nature! Registrations are open! 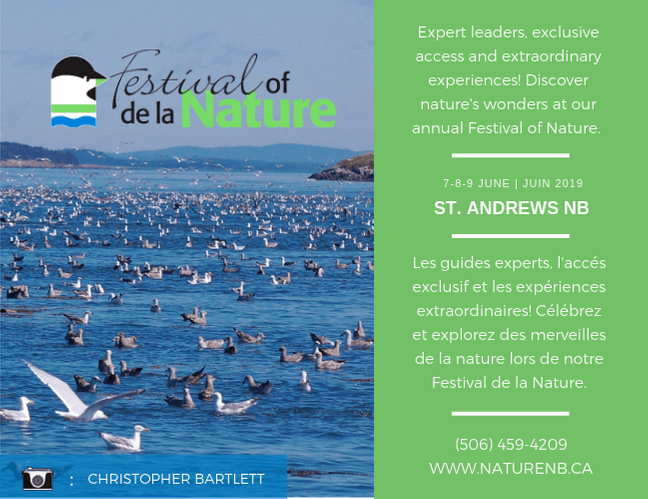 Be among the first to register for our Festival of Nature @ naturenb.ca/festival-of-nature/fon2019. And please do share… We are so excited to spend time with extraordonary wildlife and amazing supporters in beautiful St. Andrew’s!